Despite high investments in protection measures against natural hazards during the last years, heavy damages are still occurring. One reason for these damages is that extreme events can exceed the existing protection measures as their intensity may be higher than what the protection measures were designed for. Further reasons contributing to damages are a recently growing population density and the accumulation of human assets and settlements in risk prone areas. Due to these circumstances, residual risk and cases of overload have to be considered within integrated risk management activities. 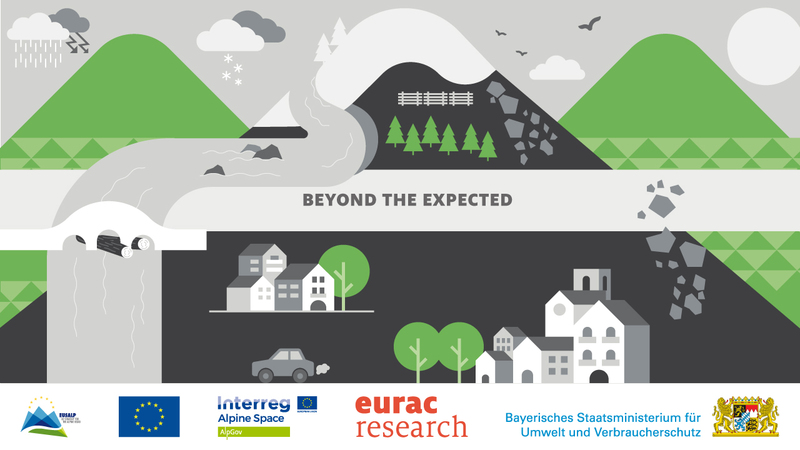 A study carried out by EURAC research and supported by EUSALP Action Group 8 investigated the concepts of residual risk and cases of overload and their current consideration in Alpine risk governance of natural hazards. It presents 1) concrete recommendations, and 2) good practice examples for both policy- and decision-makers as well as the affected populations in all Alpine countries. A 12-page policy paper as well as the final report are available in English and German.